High school junior Jenny Greenley is so good at keeping secrets that she’s the school newspaper’s anonymous advice columnist. She’s so good at it that, when hotter-than-hot Hollywood star Luke Striker comes to her small town to research a role, Jenny is the one in charge of keeping his identity under wraps. But Luke doesn’t make it easy, and soon everyone – the town, the paparazzi, and the tabloids alike – know his secret . . . and Jenny is caught right in the middle of all the chaos. 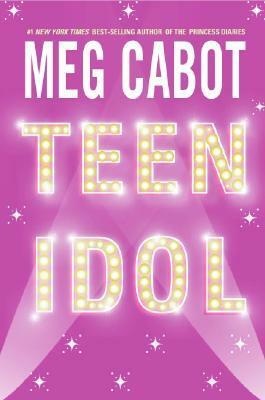 Like so many Meg Cabot books, this novel shows that sometimes it’s easier to get along with everyone and blend in than it is to speak up and be yourself. Jenny was an extremely likeable character, and even the characters that were somewhat annoying grew during the novel, developing into people you could empathize with and care about. Another amazing lesson that this novel shows is that relationships, even chance meetings between people, can be very touching to all involved. No matter age or occupation, there is always something you can learn from others, and what that something is can often be surprising. Although this book originally came out in 2004 it seems a bit dated, perhaps because technology has evolved and cell phones have become almost essential to today’s youth. Despite that, the book was still a pleasure to read, and had great morals. Meg Cabot was born in Indiana during the Chinese astrological year of the Fire Horse, a notoriously unlucky sign, but has been working hard ever since to give herself a happy ending. Her books for both adults and tweens/teens have included multiple #1 New York Times bestsellers, selling well over 25 million copies worldwide. Her Princess Diaries series has been published in more than 38 countries and was made into multiple hit films by Disney. Meg’s numerous other award-winning books include the Mediator series and the Heather Wells mystery series. Meg Cabot (her last name rhymes with habit, as in “her books can be habit forming”) currently lives in Key West with her husband.